As a savvy business owner, you know the importance of financial clarity and organization—which is exactly why HoneyBook integrates with QuickBooks! That way, all of your HoneyBook payments can automatically sync to your QuickBooks account for easy management. 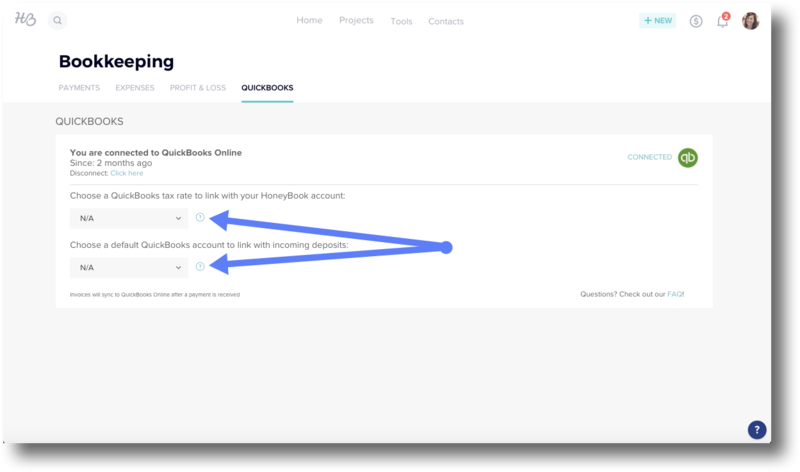 PLEASE NOTE: QuickBooks integration with HoneyBook is only available for Simple Start, Essentials, and Plus QuickBooks customers. 1. From your HoneyBook home page, select Tools from the top navigation bar. 3. Select the QuickBooks tab. 4. Click Connect to QuickBooks. 5. Follow the prompts to input your QuickBooks Online login information and authenticate your account. 6. Once you’ve connected, you’ll need to select your QuickBooks tax rate (if you charge sales tax), and your QuickBooks deposit account (the account your HoneyBook payments come into). Head back to your QuickBooks tab in HoneyBook. 7. From the menus provided, select your tax rate and default QuickBooks account to which you'll be linking. PLEASE NOTE: The default account you select here should match the account that you will be receiving payments to in your QuickBooks account. 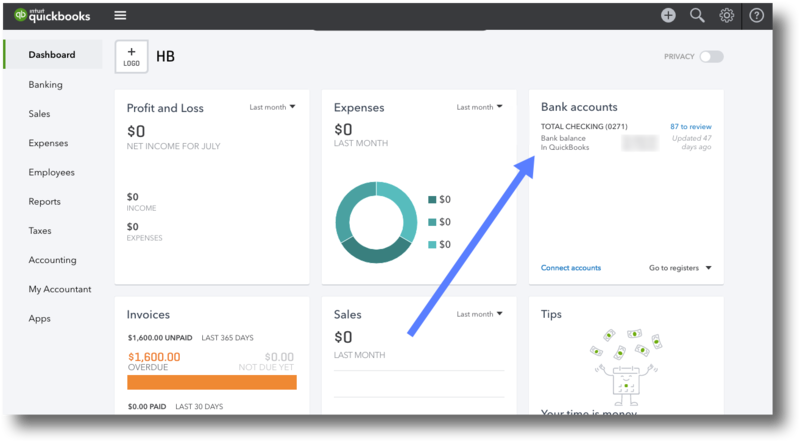 This will be the account that you see listed on your dashboard in your QuickBooks account. Any items with no tax on your HoneyBook invoice will automatically default to zero-rated tax when synced in QuickBooks. Any items with tax on your HoneyBook invoice will automatically default to your default tax rate set in HoneyBook when synced in QuickBooks. For any items with a different tax rate than your default tax rate (tax in a different province etc. ), you will need to manually update that tax rate in QuickBooks.